216 pages | 156 Color Illus. Energy demand reduction is fast becoming a business activity for all companies and organisations because it can increase profits regardless of the nature of their core activity. The International Energy Agency believes that industry could improve its energy efficiency and reduce carbon dioxide emissions by almost a third using the best available practices and technologies. compressed air and process controls. Uniquely, it includes a whole chapter on greening data centres. It also looks at topics covered in greater detail in its companion volume, Energy Management in Buildings: insulation, lighting, renewable heating, cooling and HVAC systems. Further chapters examine minimising water use and how to make the financial case, both to prioritise measures for cost effectiveness, and to get management on board. 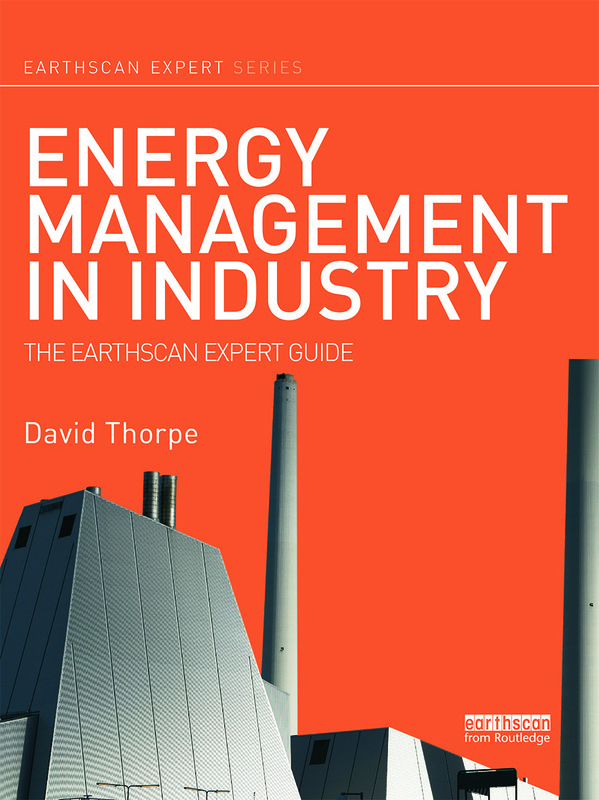 This title is aimed at all professional energy, industry and facilities managers, energy consultants, students, trainees and academics and can be read alongside training for ISO 50001 - Energy Management Systems. It takes the reader from basic concepts to the latest advanced thinking, with principles applicable anywhere in the world and in any climate. Preface. Introduction. 1. Measuring Energy Consumption 2. Metering 3. Airtightness and Insulation 4. Lighting, Daylighting and Controls 5. Heating and Cooling 6. Heating, Ventilation and Air Conditioning Systems 7. Energy Reduction Technologies 8. Motors, Drives and Compressed Air 9. Refrigeration 10. Process Controls 11. Data Centres 12. Minimising Water Use 13. Making the Financial Case Conclusion. Appendix. David Thorpe is community manager of Sustainable Cities Collective, an online community for leaders of major metropolitan areas, urban planning and sustainability professionals. Until 2013 he was for 13 years News Editor of Energy and Environment Management magazine, for which website he also wrote a weekly op-ed column. He is also the author of several books and hundreds of articles on related subjects. Formerly director of publications at the Centre for Alternative Technology, he has written two other books in the Earthscan Expert series, Sustainable Home Refurbishment and Solar Technology, and several B2B ebooks for the publisher DoSustainability. He runs his own sustainable media consultancy, Cyberium, manages the Green Deal Advice website, and blogs regularly as The Low Carbon Kid. Find him on Twitter @DavidKThorpe.